Our U22 XT cosMik Set is a powerful studio recording bundle, providing everything you need to make professional quality recordings with your PC or Mac. Consisting of our famous top selling U22 XT USB audio interface, the cosMik 10 condenser microphone and the powerful eXtra 10 monitoring headphones, this bundle was created to be the center of the home studio. With the professional quality condenser studio microphone and the included table stand, you are able to make high quality vocal recordings instantly. 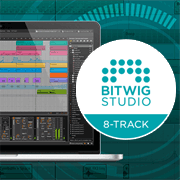 The monitoring of your sounds can be done with the included dynamic studio headphones and to get started right out of the box, the bundle comes with the Bitwig Studio 8-Track digital audio workstation software. No matter if you are into podcasting, want to record your own vocals, create your own tracks or if you simply need a starting point for a professional quality music studio in your home: all this and much more can be handled with this exciting studio recording bundle. If you're looking for a really powerful PC / Mac compatible bundle to get started right away, then the U22 XT cosMik Set was designed for you! 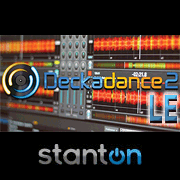 1/8" plug with gold plated screw-on adapter to 1/4"
Deckadance LE v2 from Stanton - a powerful professional DJ software that continues to elevate the freedom of creative expression for remix and groove producers, turntablists as well as club, mobile and home DJs. 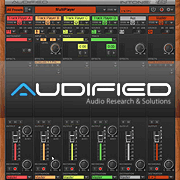 With the included license, you can quickly load your favorite tracks and instantly mix them like a professional DJ through the outputs of U22 XT cosMik Set. Our website always shows the latest information on what we currently ship with our products. Depending on the production date, it can sometimes be possible that a different software package is included with the U22 XT cosMik Set at a local reseller. The actual content is mentioned on the retail box of the product itself. If you are unsure, please contact us.